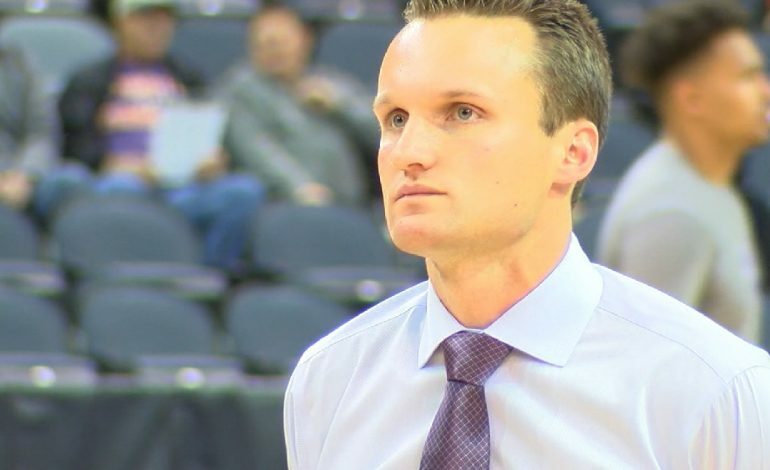 Ohio County native Logan Baumann is making a name for himself as the Director of Operations for the UE Men’s Basketball program. Baumann, who joined UE’s staff in April, has diverse leadership experience as a player and coach. As a high school standout, Baumann scored more than 1,000 points and was the Third Region Player of the Year in 2012. He took his talents to the University of Louisville, where he was a walk on and served as a video coordinator for the Cardinals. He was promoted to the Senior Director of Video Operations before leaving U of L.
The Aces open the regular season at Illinois Thursday. The game starts at 7 p.m. CT. Catch coverage on-air and online. UE Athletics contributed video to this report.